Hunter built the PGJ model to bring all the benefits of the efficient rotary sprinklers to applications usually calling for a spray. 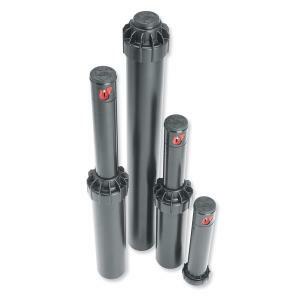 It features a durable rubber cover, easy to adjust arc, and includes the water-efficient easy to install/change nozzles. The PGJ can be combined with larger rotors in the same zone to effectively cover both large and small areas in one zone. When used in the right application, the PGJ is a more economical choice by allowing fewer heads to perform more efficiently. Note: Each Rotor order includes one Rotor Adjusting Tool.